Pillar College is pleased to provide students and faculty access to a wide variety of academic resources, supporting the mission Pillar College to educate, inspire and equip students for excellent scholarship, service and leadership. Available resources support the curriculum in the areas of study offered by the college: Biblical Studies, Psychology & Counseling, Business Administration & Management, General Education, Elementary Education, Intercultural Communication, and Graduate Counseling. The library provides access to online resources including scholarly publications. These resources provide a wide variety of information on current issues of the day, historical data, biblical references and a broad area of subject matter. 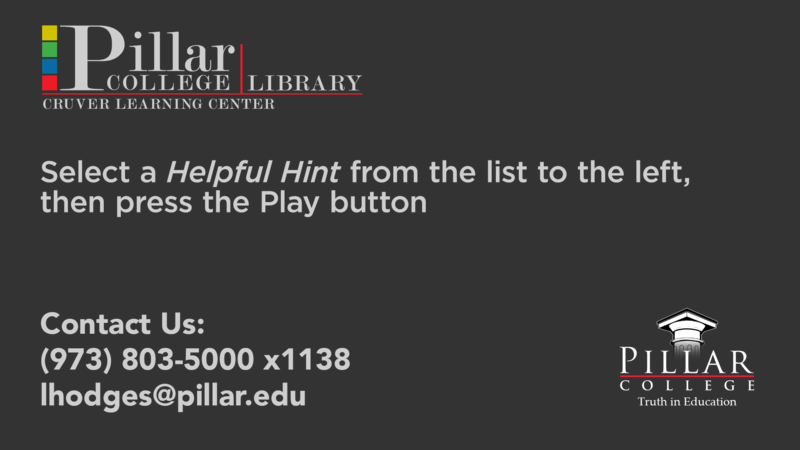 Online reference, electronic journals, online databases and ebooks are available to supports the need for in-depth research by Pillar college students. BigCharts is the world's most comprehensive and easy-to-use investment research Web site, providing access to professional-level research tools such as interactive charts, quotes, industry analysis and intraday stock screeners, as well as market news and commentary. These tools combine with a graphical interface and our intuitive navigation to make your research experience productive, entertaining and fun. Best of all, BigCharts is a free service supported entirely by our site sponsors. MarketWatch, Inc. is a service of Dow Jones & Company.